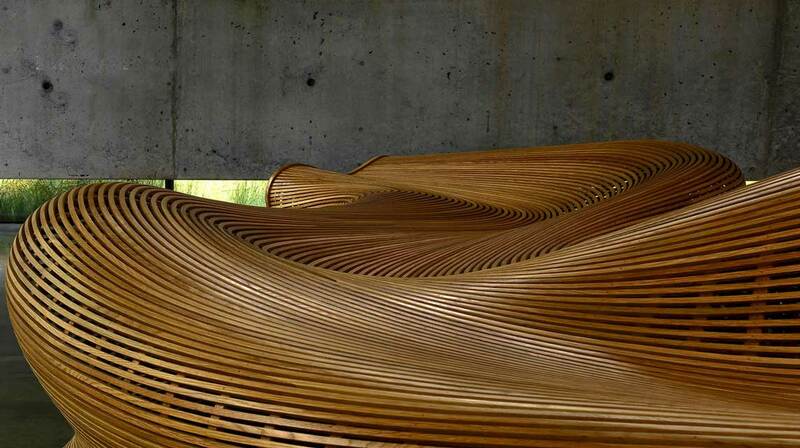 HomeBlogHome DecorAmada Sculptural Bench by Matthias Pliessnig. 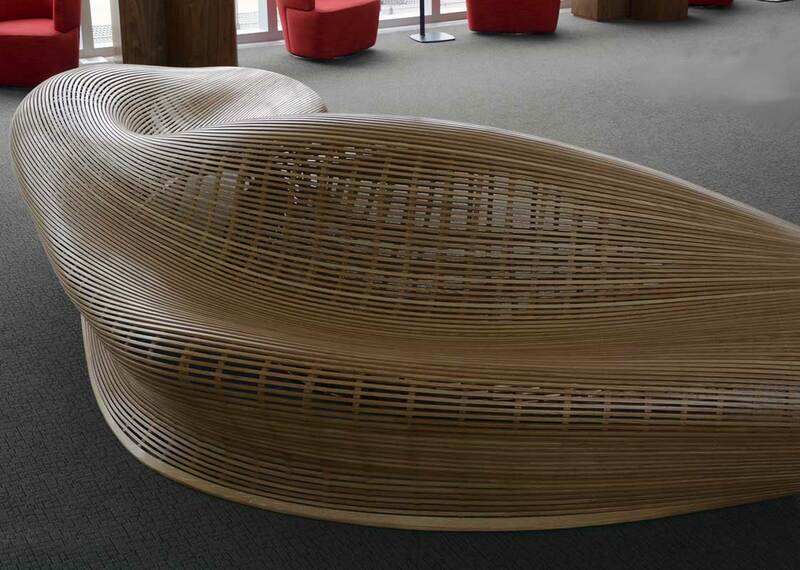 Amada Sculptural Bench by Matthias Pliessnig. 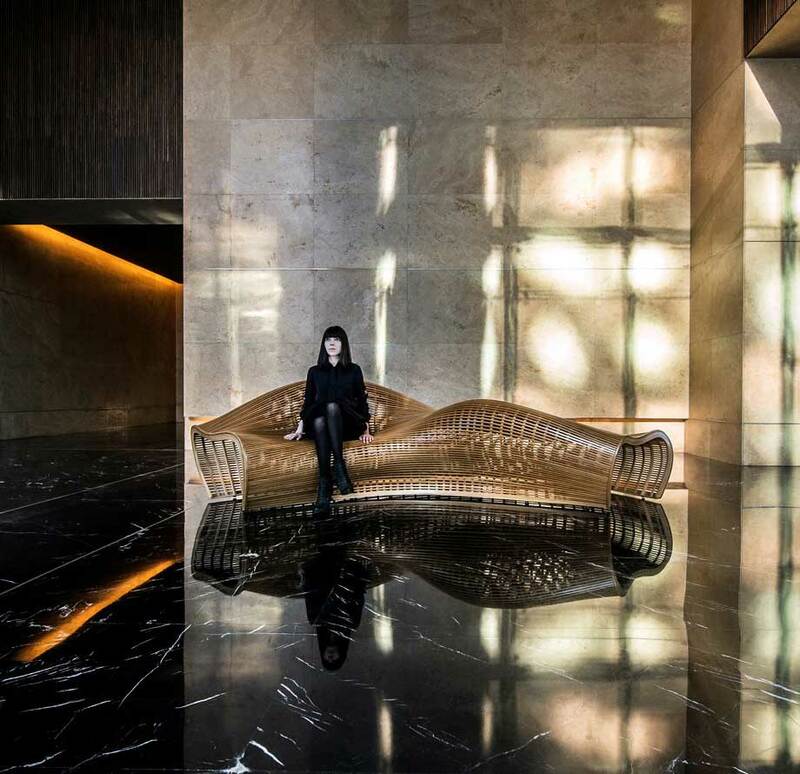 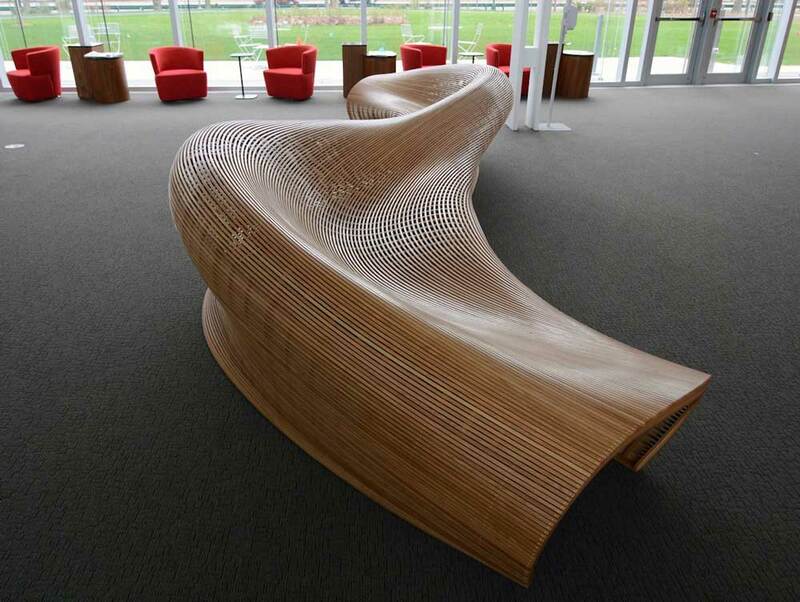 Amada is a striking sculptural bench with a fluid shape that appears to be flowing through space, it is the work of American designer Matthias Pliessnig. 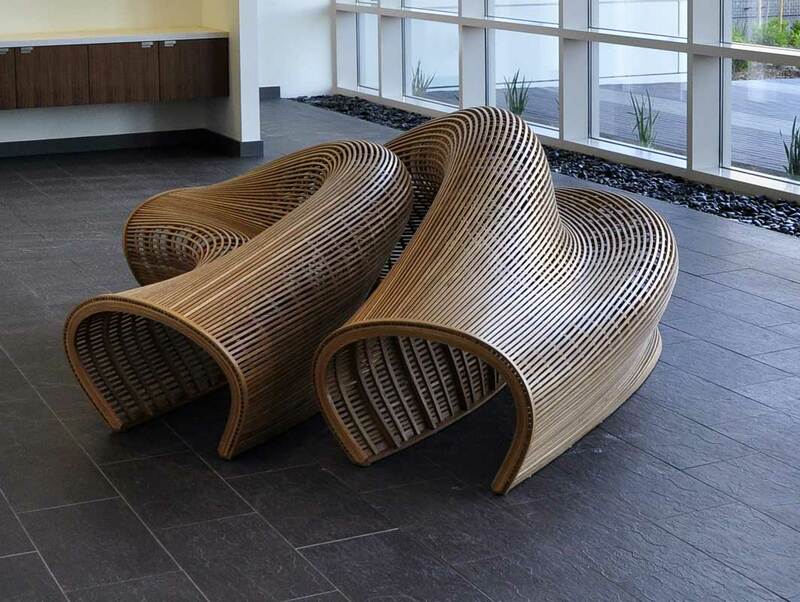 This unique piece was originally designed for a private client who wanted a large bench flowing through his living space. 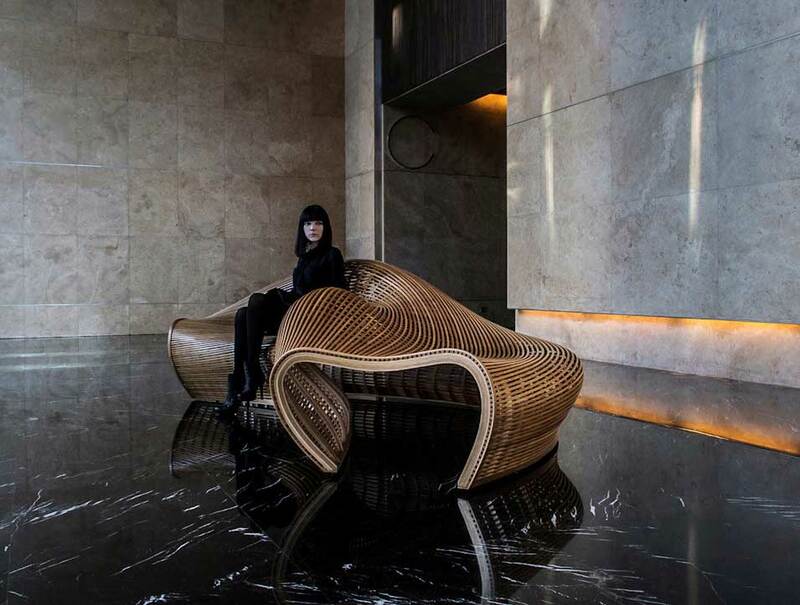 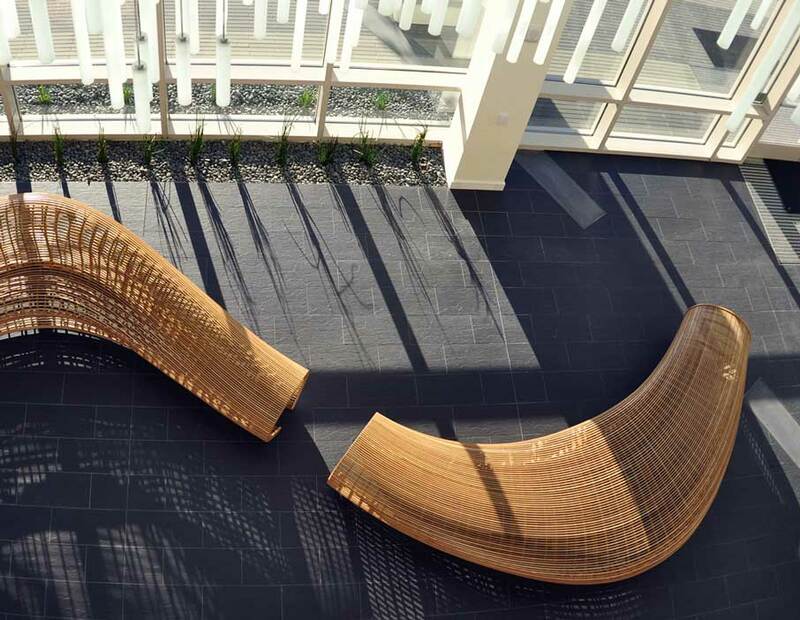 It is made entirely of air-dried responsibly harvested white oak that has been steam-bent to create the curvaceous form of the bench. 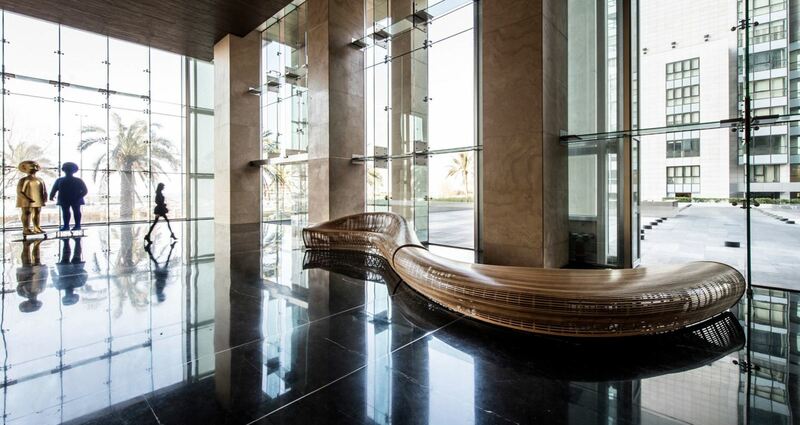 One of the distinctive aspects of this stunning creation is that it was designed to allow the sitter to face multiple directions, this feature helped to dictate the original design. 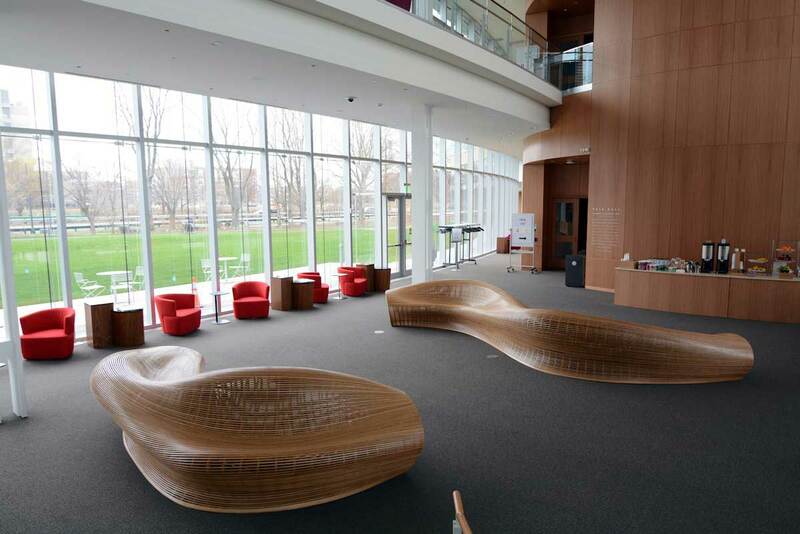 Initially the concept was virtualized using Rhinoceros 3d modeling software. 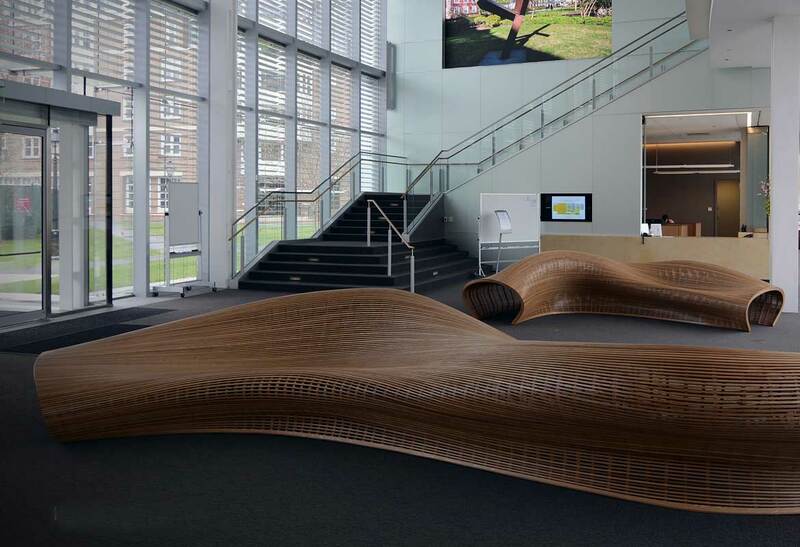 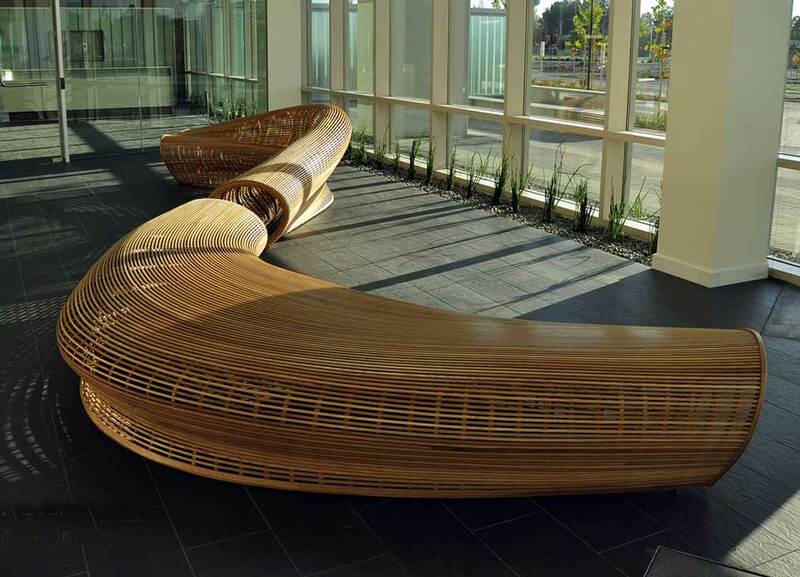 The next part of the project was the tedious work of curving the woo and assembling everything together to form this extraordinary curvy bench that is an artwork in its own right. 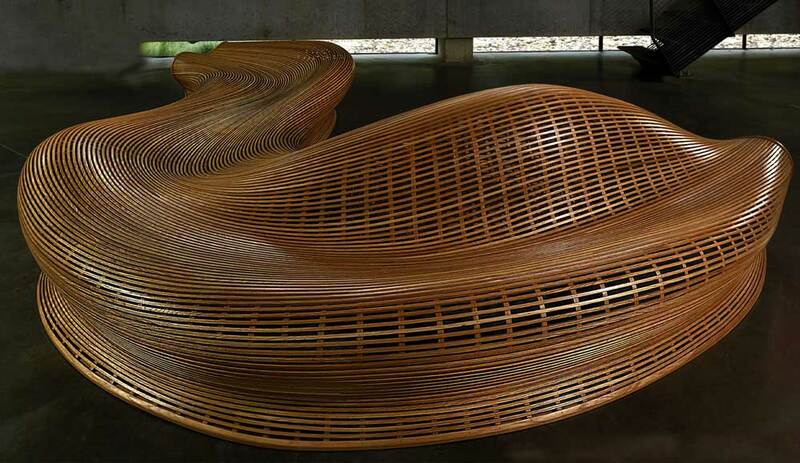 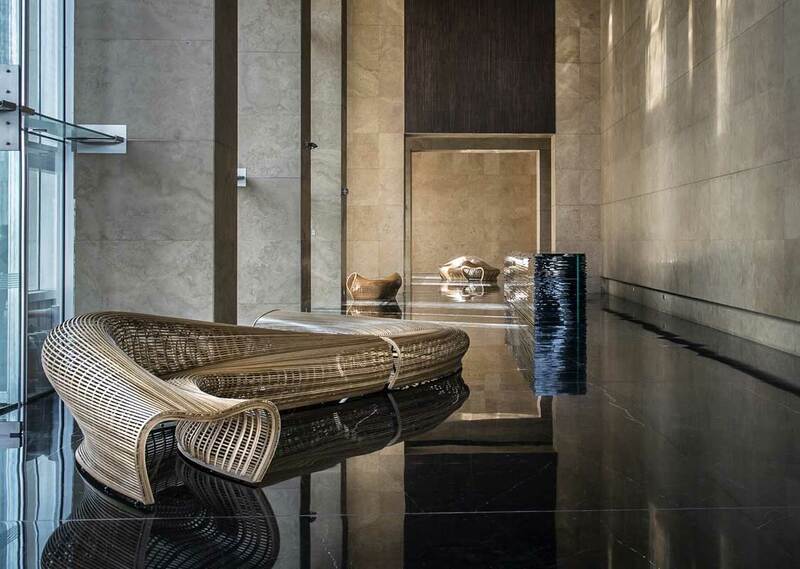 The Amada bench effectively straddles the concepts of art and design, through exceptional artisanship. 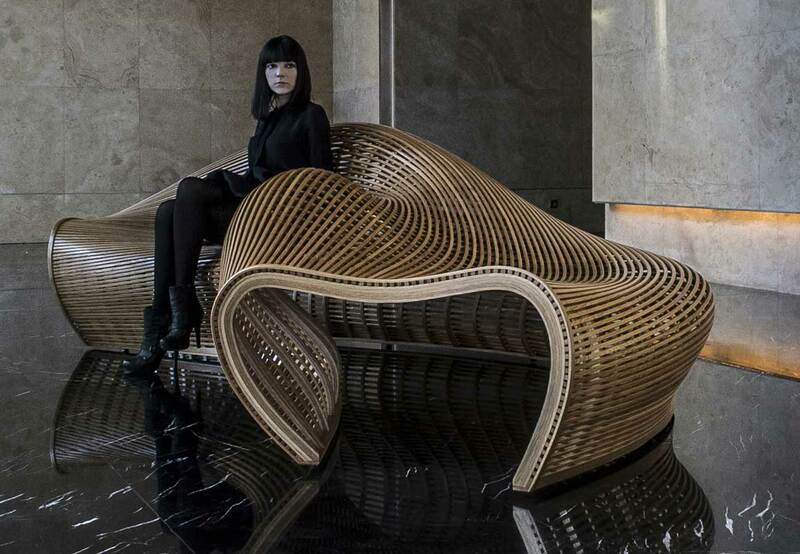 It is a synergy of traditional manufacturing techniques and modern digital design, but in the end it is defined by the skill of the craftsman, an absolute necessity for a complex piece like this to cross the boundary from concept to reality. 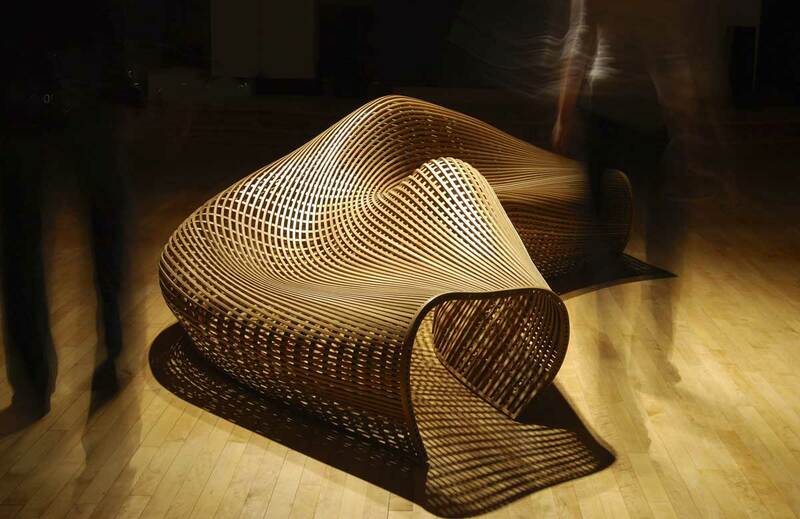 WONDER BOX a clever multifunctional kids furniture by Richard Lampert. 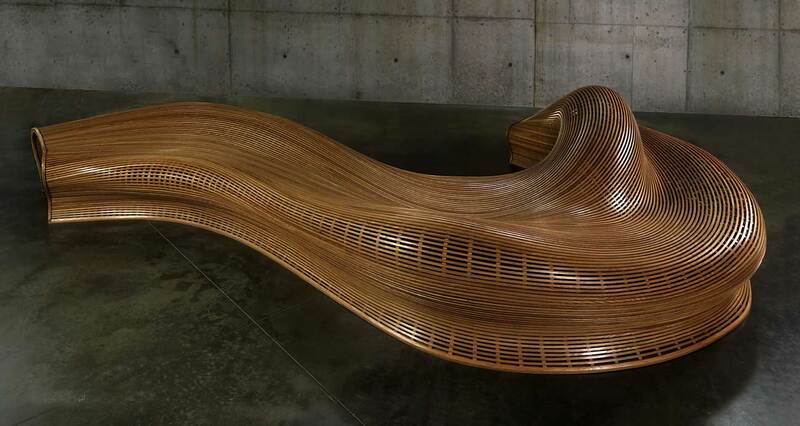 Uiliuili Bench by Piotr Zuraw. 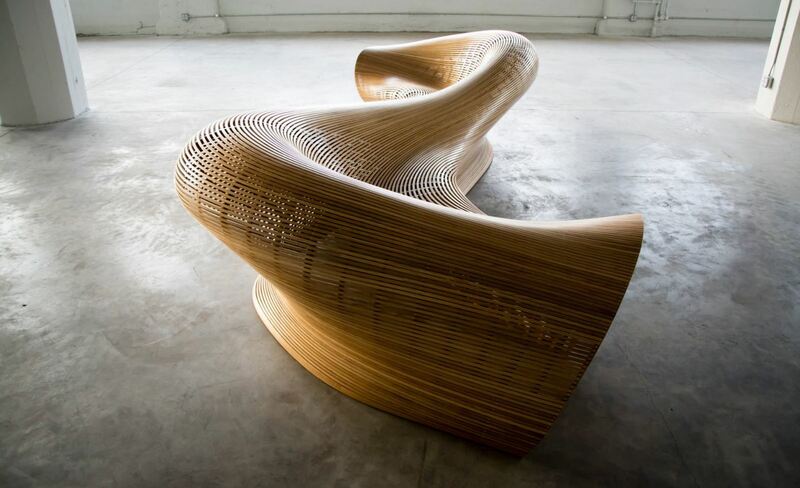 E-Turn seating bench by Brodie Neill for Kundalini. 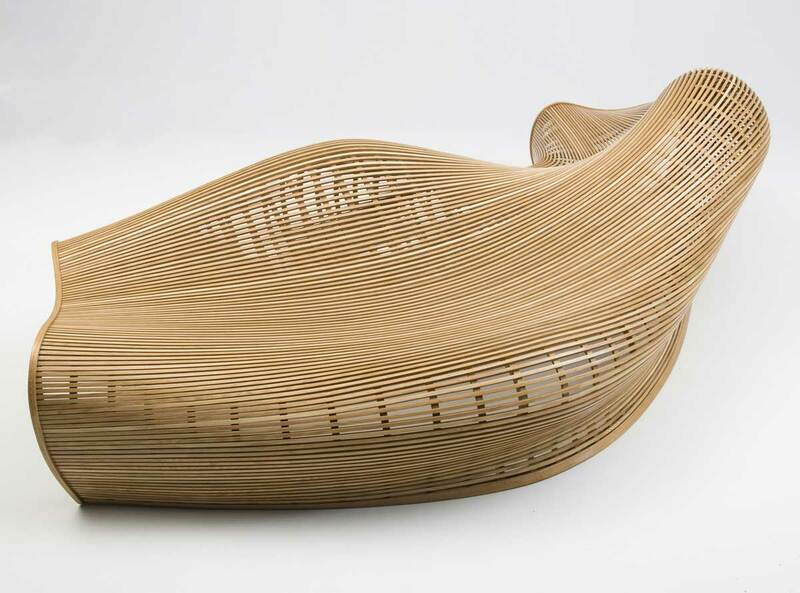 Ginkgo Leaf Bench by Manolis Anastasakis.